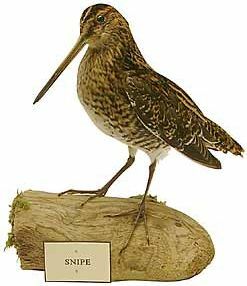 Small long-billed bird with a woody flavour similar to sweetly rotting wild mushrooms. Common throughout the United Kingdom inhabiting marshes, boggy moors and damp pastures. Considered very much a delicacy, it makes for a well-flavoured dish.